A mature fantasy drama with a humanistic touch, The Miracle We Met is catching everyone's attention with it's story and seasoned actors. 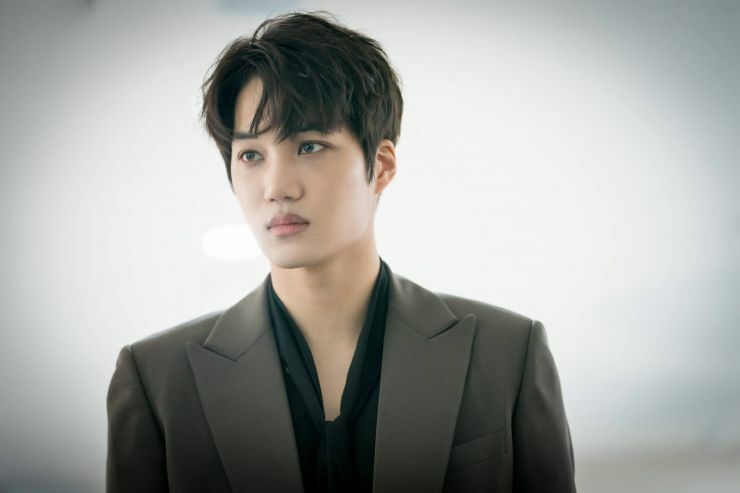 When a Grim Reaper (EXO's Kai) alters the lives of two men (Kim Myun Min and Ko Chang Seok) both named Song Hyun Cheol and born on the same day, the Reaper accidentally takes the wrong soul resulting in altered fates. The kindhearted and simple Song Hyun Cheol (Ko Chang Seok) is placed in the body of the other (Kim Myun Min), having to handle a new family and identity, living the life of another man who only resembles him in age and name. 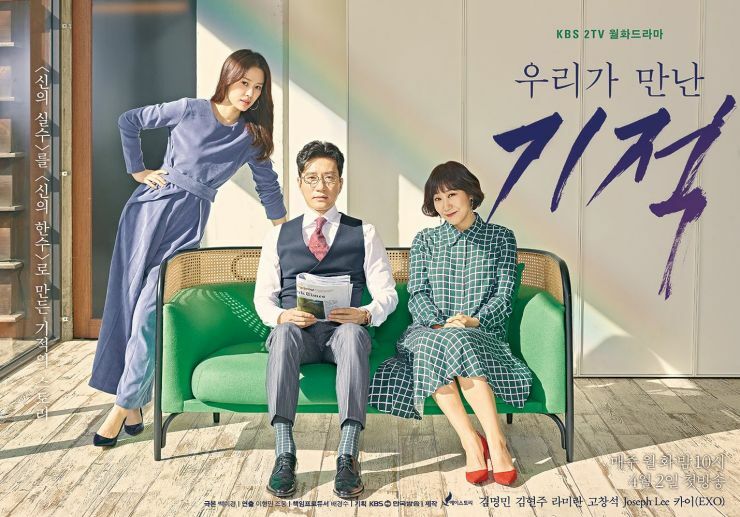 As confusing as my synopsis is (sorry guys, I didn't want to dive into too much detail otherwise I'd be spoiling the show) the drama does an incredible job of setting up the main characters, both Song Hyun Cheol A and B live starkly different lives, their personalities polar opposites of one another. From their family dynamics, ambitions, to their standards of living and interests, nothing about these two men is similar. I find that setup quite interesting, and compels viewers to watch the drama since we're all waiting for this soul transfer scenario to fix a lot of the issues left behind by the unlikeable Hyun Cheol. Specifically, when it comes to family and a broken marriage, which leads me to my next noteworthy thing about this drama - our leading ladies. Both Kim Hyun Joo and Ra Mi Ran deliver here with their performances and I wouldn't expect anything other than high-quality acting from the two. I feel for both women, one losing her husband suddenly and receiving phone calls from a man claiming to be him while the other is teetering on the brink of destruction, becoming a shell if she can't find a way out of a toxic marriage. The women of the show bring another layer to the drama since the complexities as a result of the sudden soul deposit makes things far more messy yet intriguing. Will Hyun Cheol find a way to go back to his own family or will he accept another man's family and try to amend and fall in love with another woman? These types of questions suggest that anything is on the table, we don't know how the drama will play out with the 'morals of the world' or if it will experiment with some extremes when it comes to possessing the body and life of another person. We've seen plenty of body swaps, where two characters live the life of the other and it's fairly hilarious and entertaining ranging from mystery dramas to romance, but this drama only has one man doing it all. Will the other Hyun Cheol be brought back from hell at all? (I'm assuming that's where he went, all things considered). My questions never end but I love that about the drama since it's really making me consider all possibilities. I can't seem to predict what will happen next and to most K-drama watchers that's surprising because at this point, it's like we've seen it all. I don't think anyone would have thought about intersecting a humanistic-healing drama with fantasy so in terms of genre, the drama is already making a name for itself. It will be interesting to see how the fantasy elements play out in contrast or in relation to the 'humanistic' aspects of the show. If our Grim Reaper gets punished, has to intervene, or involves other heavenly beings may bring some entertaining twists that could over shadow and dominate over the lives and struggles of our characters. There's this sense of mysticism surrounding the supernatural in the show, that we have to eat up and digest the little pieces and scenes when we see our Grim Reaper in order to come up with theories or somehow figure out what might happen next. And it's these small moments that seem to make all the difference at times, and might steal a viewer's attention more than the life of a devastated and struggling housewife. 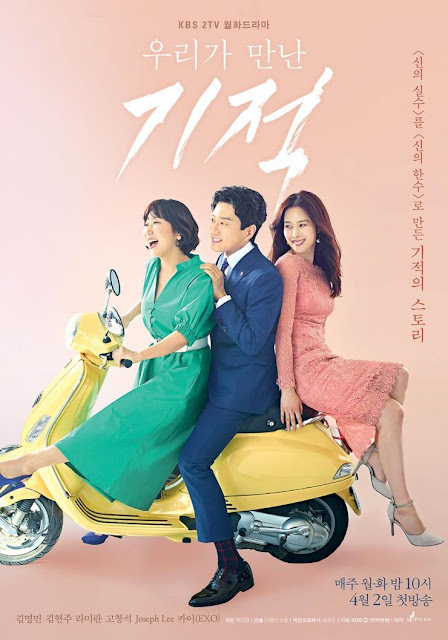 More than anything, the drama leaves a big fat question mark over it with it's plot but the characters and their stories are so real and relatable that it brings a good amount of balance, and I hope the show maintains that. The Writers have already managed to dig deep to let viewers connect with the families and mainly the women of the show, making it a drama that promises true character development and growth. There's far too many positive things to say about the drama that I have my fingers crossed, hoping it doesn't flop halfway and leave me hanging since fantasy K-dramas tend to have a good start but end up catapulting themselves to doom with a bad script. 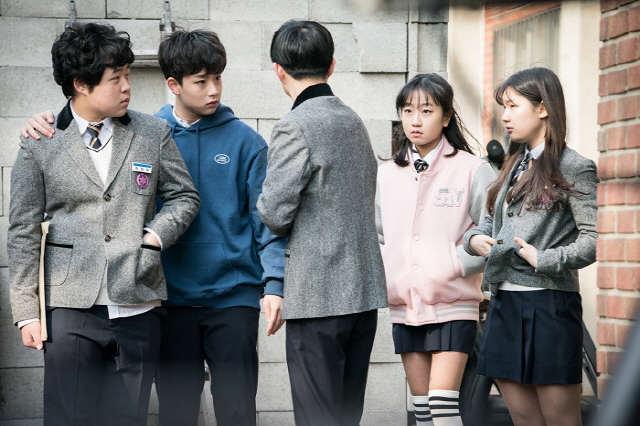 The Writers have a lot of weight on their shoulders but the cast alone has already marked this drama as a success, so let's hope it's something remarkable and worth talking about. 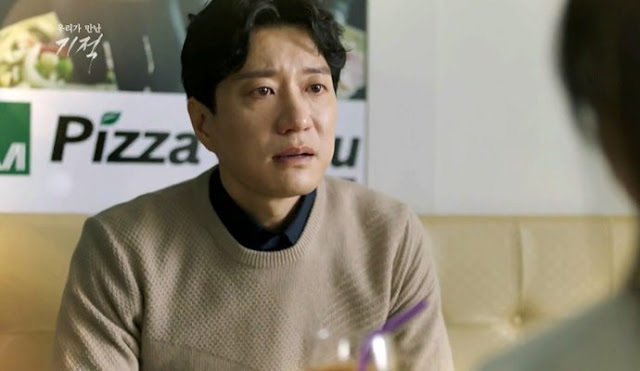 A drama with a shocking soul transfer, The Miracle We Met is a new kind of fantasy story with endearing characters, making it a drama unlike any other. Thanks for the review and explaining the plot which had me a bit confused when I read the synopsis elsewhere. What happens to the other guy's soul? The premise seemed quite serious but the poster looked so lighthearted I wasn't sure what to make of the drama. I have seen this is getting great viewing figures and reviews from the domestic audience. I'm glad to see it looks like Ra Mi Ran's character gets new hair because that wig is horrible. The other Hyun Cheol is either in the afterlife or who knows, might be brought back? Anything is possible during the early stages of the drama so we'll have to wait for it to unfold. Domestically, the drama continues to top and I agree with you that it takes you by surprise since the promotional material makes it seem like a soft drama about life.